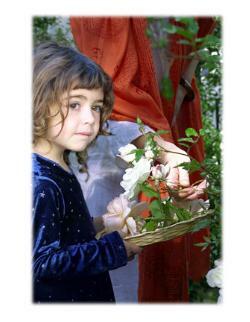 The Westside Waldorf School began as a playgroup in 1988 organized by a group of parents interested in Waldorf education. In November of 1988 the School incorporated as The Waldorf School of Santa Monica, and in 1989 the first kindergarten opened at the Good Shepard Baptist Church at 16th and Pearl Street in Santa Monica. In 1991 the School established its first Grade One class, initiating the elementary School. 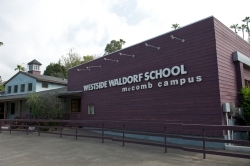 In 1996 the School changed its name to The Westside Waldorf School, to better reflect the wider community the School serves and, moved into the St. Augustine by the Sea Episcopal Church on Fourth Street in Santa Monica. The first class to complete Kindergarten through 6th grade at Westside Waldorf School graduated in 2002. In 2005 Westside Waldorf School extended its program to include the first 7th grade class, as well as a nursery program, opening a second nursery class in new surroundings at 1441 Fifteenth Street. In 2006, the Fifteenth Street campus secured additional space on the site and opened two additional kindergarten classrooms and a parent-toddler room. The programs housed at the St. Augustine’s site began looking for a new home as more space was needed to expand the School’s educational programs. Paul Livadary, a Trustee of the McComb Family Foundation and passionate advocate of Waldorf education, was instrumental in securing substantial financial gifts from the Foundation, and in January of 2007 Westside Waldorf School took up residency at the new site in the Pacific Palisades, named the McComb campus in honor of the McComb Family Foundation, with a lease of 25 years. The School’s first 8th grade class graduated in June of 2007.